Due to the website being HACKED I have had to revert back to an old version, unfortunately some links are no longer working. I am building a new website from scratch so please bear with me. Please do get in touch via email, the link at the top of the page still works. Hello and welcome to Owlsdene Bengals, based in Oxfordshire just outside of Henley-on-Thames, conveniently located between the M4 & M40 and within 25 minutes of Heathrow. My aim is to raise very confident, striking, well socialised Bengal kittens. All of my kittens are raised in the house with a lot of handling from day one so that they consider humans as friends that they want to share their lives with. I also believe it’s very important to only use cats of very good temperament and type in my breeding programme. I am passionate about the breed and I believe it is important that a breeder should work to forward the breed and always look towards the future. 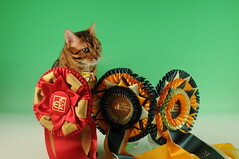 On my website you will find information about Available Kittens, Show Results, and other Owlsdene News. I sometimes have breeder kittens available to selected registered breeders and I welcome any enquires. I hope that you enjoy my website and that I do justice to the beauty and fascination of this wonderful breed. If you would like to chat about the breed or to visit me and meet my extended family of fantastic felines please do not hesitate to contact me. Lastly, I would like to take a moment to mention my late partner Ian Douglass. Without his help and encouragement through the early stages of my breeding experience Owlsdene Bengals would not be what it is today. Ian took great pleasure seeing the kittens grow and develop and was very proud of his girl Baileys show success and he would be pleased as punch at the success of her boy, Mr Darcy. This was my first experience of showing under FIFE. I took my 2 boys from RW SGC Batifoleurs Aisha of Owlsdene & World Champion Mainstreet Xtreme and had a very interesting day absorbing the friendly format of FIFE shows. My brown spotted boy Owlsdene Aisha Major beat his brother Owlsdene Hearts Desire in the Junior class then went on to became BEST OF VARIETY and was nominated for the Best in Show. In the afternoon we gathered at the front for Best in Show judging and Major went into his pen behind the judging plinths. Major had a fantastic afternoon winning BEST IN SHOW JUNIOR and BEST IN SHOW CATEGORY 3 (short haired). The 3 judges then judged the 4 winners from each category and picked Major as BEST OF THE BEST I was so proud of him and each judge praised his wonderful gentle personality. Photos will follow and Aisha and her boys pages will be up very soon. Major is now retired from my breeding programme & I have kept his son Major Tom who looks very like his Dad & also carries snow. The photos you see throughout my site are courtesy of Robert Fox, Alan Robinson, Helena Jansson, and Paul Thompson. I have some really fun loving kittens available ready to go to their new homes later this month, I also have a couple of slightly older kittens available now. I pride myself on raising kittens with lovely personalities as well as some with stunning markings & these babies are absolutely amazing. Lodi's kittens - Lodii has a charming little brown spotted girl available she is a sweet little girl with a lovely personalities & looking absolutely gorgeous. Mr Bingley is Dad so she has the lovely magical chilled personality & excellent type. Pretty Girl has a lovely blue eyed snow spotted boy & a brown spotted boy available, these kittens are younger brothers to Owlsdene Stella Blue Skys who is an excellant typey well structured girl who showed very successfully as a kitten. Dad is Mr Bingley. 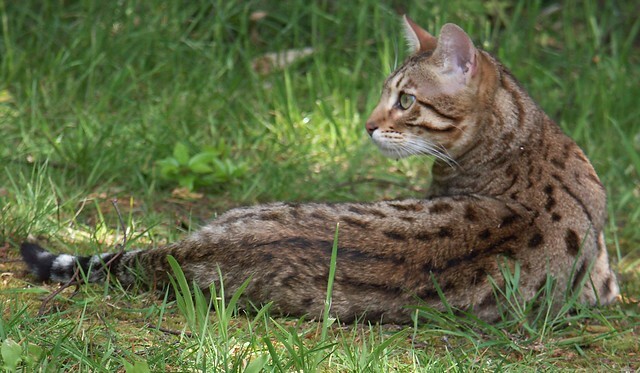 Huntress has a litter of brown spotted boys, Aisha is Huntress's mum so again that lovely gentle personality. The coats of these kittens is super soft with lovely spotted patterns, full of fun & mischief with playful sweet nature. I have some lovely friendly kittens available at the moment. 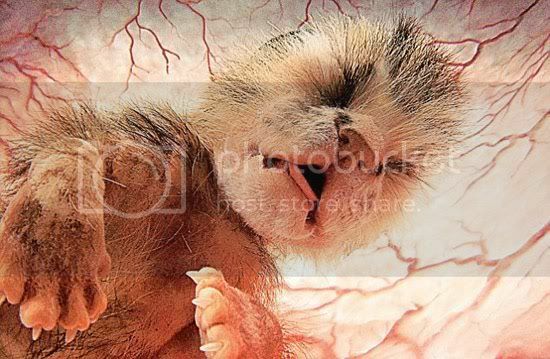 They are all well socialized, very confident and very suitable for busy family enviroment. I am always happy to discuss the availability of some of my best quality girls for breeding. I welcome interest from new and small breeders and am happy to offer help and support in any way I can. Copyright © 2007-2019 Owlsdene Bengals. All Rights Reserved. Photos & text from this website may not be reproduced without permission of Owlsdene Bengals. Website created by Paul Thompson & powered by Joomla!